To kick start the new feature, Local Flair, on my blog, I caught up with the lovely Katie from The Arab Doll Project, telling me all about how she has made her love for sewing into a little business, whilst balancing family life and settling into Fujairah. Katie also offers the service of custom orders for her Arab Dolls, and it was an absolute pleasure meeting her. Katie, originally from Texas, is an expat mother of four children and wife to a Pastor, living in the city of Fujairah, UAE. She was previously a midwife, before making her love of sewing and crafts into a little business. 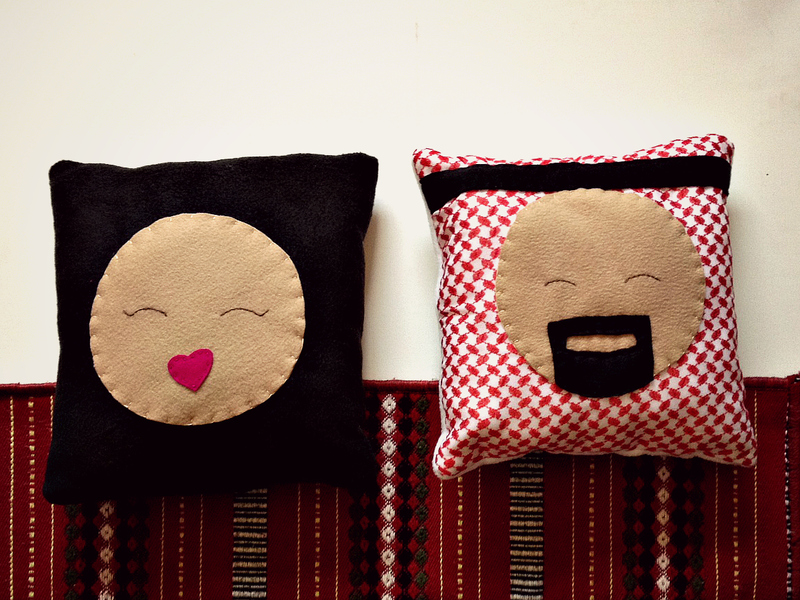 The Arab Doll Project began in January 2014 when she began by making little prototypes of dolls for her children, and by February she decided she wanted to sell the dolls on the online store, Little Majlis. Being an expat and finding the Arab culture she was living in of much interest was the inspiration for her business. She began by creating dolls for her own children and took into account their creative inputs before creating a stock of the beautiful range of Arab dolls. The creative output and having new ideas is the most rewarding part for Katie. She relishes the challenge of sourcing new and unique material that she can work with. Getting the right balance between work and family life is the most challenging aspect for Katie. She understands that having a business means that there are deadlines and work related obligations, but her children are her top priority. Therefore, she creates a stock every month or two, and has a set time frame for custom orders. She also notifies customers of a realistic time in which they will receive their custom orders so that she herself is not burdened, and the customer is not disappointed or left waiting. Katie explains that there are two commissions that really stood out for her. The first was for the Arab American Museum in Detroit, USA. She was honoured to ship them a large quantity of her Arab Dolls. The second was for a lady in Abu Dhabi who wanted an entire family of dolls including grandparents, parents and a boy and a girl. Katie goes on to say that every commission where the customer is excited makes her just as excited about the order too. 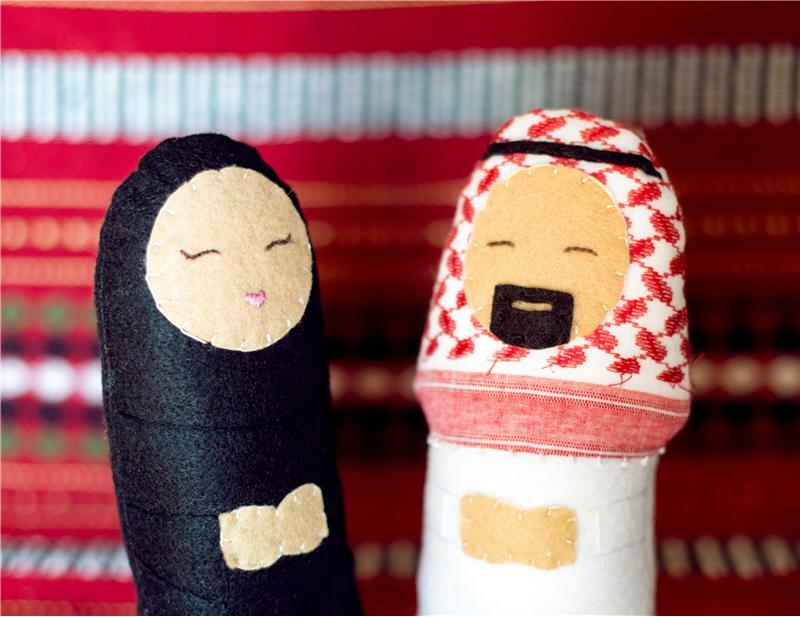 The best sellers for the Arab Doll Project are the traditional dolls: the female with the black Abaya and the male doll with the red checked head scarf. 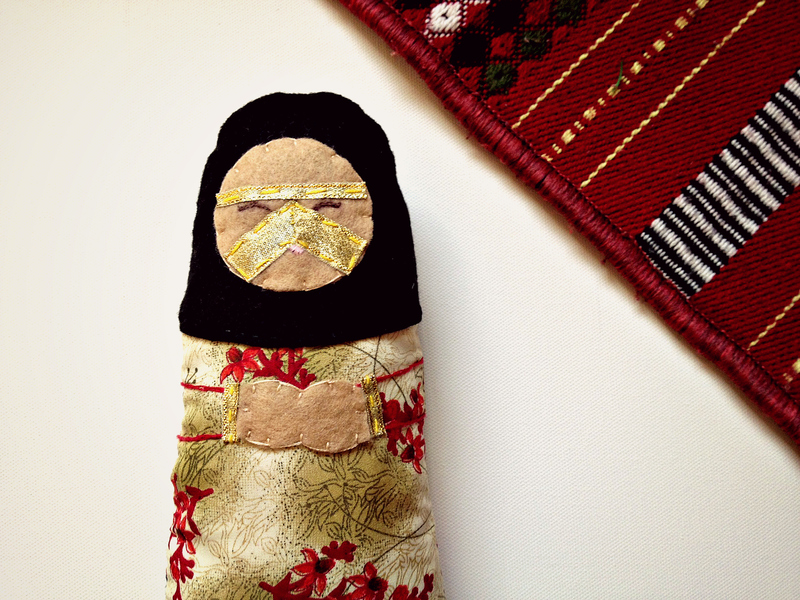 A day as the owner of The Arab Doll Project is pretty much filled with kids, cleaning up, preparing food and homeschooling the kids, whilst creating her adorable Arab dolls whenever she has the time in between, which might mean 10 or 20 minutes here or there. The chunk of her work is done in the evening when all the kids are put to bed. She has organised her felt and sewing work into separate tubs to make it easy to continue and safe from little hands. Her secret to balancing it all is to understand that some days more gets done, and some days less, and to simply not worry about that. How big are they? About 8 inches tall. Katie explains that the most unique trait about these dolls is that they are easily transportable, whether it is for yourself or as a gift. All her dolls are safe, and there is no need to worry about them breaking. All the dolls are safe for all ages, except for the Daughter Doll with a gold coin headdress, which is suitable for above 3 year olds. 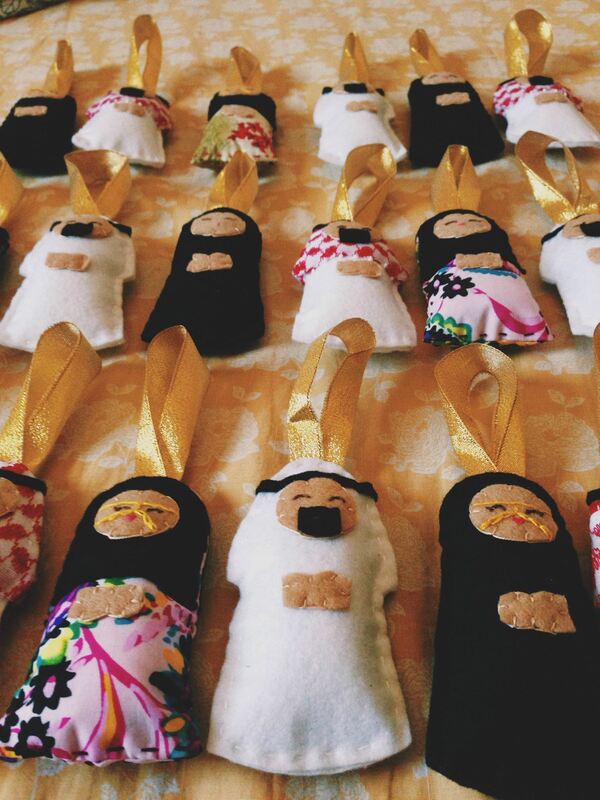 The Arab dolls are made out of felt, which is sourced locally in Fujairah, along with the ribbons and stuffing that she sources from local shops. The embroidery for the dolls are sourced from USA, and occasionally some thread is purchased from Dubai. When asked where she would like to see The Arab Doll Project in 5 years time, Katie humbly replied that she would not at all mind if it was at about the same stage as it was now. The personal satisfaction she gains from making these dolls and selling them to excited customers is what matter to her above expanding the business. Having said that, she is still very much open to opportunities that would expand her business, if they happen to knock on her door. She is currently working on future ventures, one of them named Sunny Rain Handmade Dolls, which are based upon the concept of traditional rag dolls. As with The Arab Doll Project, one of her goals is to make sure that there are play options for boys as well, so she is experimenting with boy doll designs as well as princesses and fairies. The Arab Doll Project was kind enough to offer a traditional male doll for review. It was apparent from speaking to Katie that sewing was her passion, and this really came through at close inspection of her dolls. The needle work is clean cut and precise, and her designs are beautiful due to their simplicity. The sizes are just right for them to be cuddled by children (and even adults!) and it’s hard not to love these soft petite figures. I would highly recommend these as a novel gift, or if not a toy for your child, even as a unique decorative piece on your bed or shelves. The Arab Dolls are just far too adorable to miss out on. The winner must be living in the UAE and have a UAE postcode that the doll can be posted to. 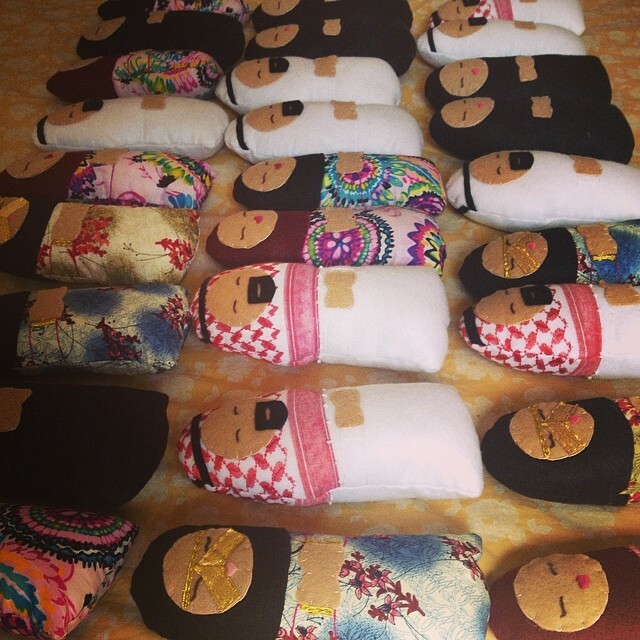 The Arab Doll Project are also on Instagram and Facebook. To get a sneak peak of Sunny Rain Handmade Dolls, check them out Instagram too! All photographs in this post are the property of The Arab Doll Project, and have been used by the owner’s permission.